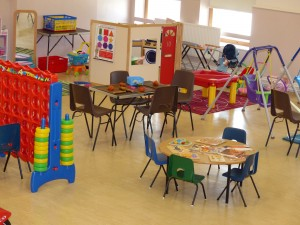 We have a large variety of toys and activities for your children to explore at Toddler Group. From ride-ons to a ball pool. From playing in sand, to water, to playdough. Your child won’t struggle to find something to interest them. There is a space to play with your infants with a variety of toys to stimulate them and a quiet room full of books and soft seating that your child can enjoy. During the session there are two intervals where your child can have a snack provided by the group and ‘Song time’ at the end of the session where children and parents alike can learn and enjoy singing some classic nursery rhymes. At Camborne Wesley we are very friendly; our Family Worker and volunteers love to chat and catch up with you.